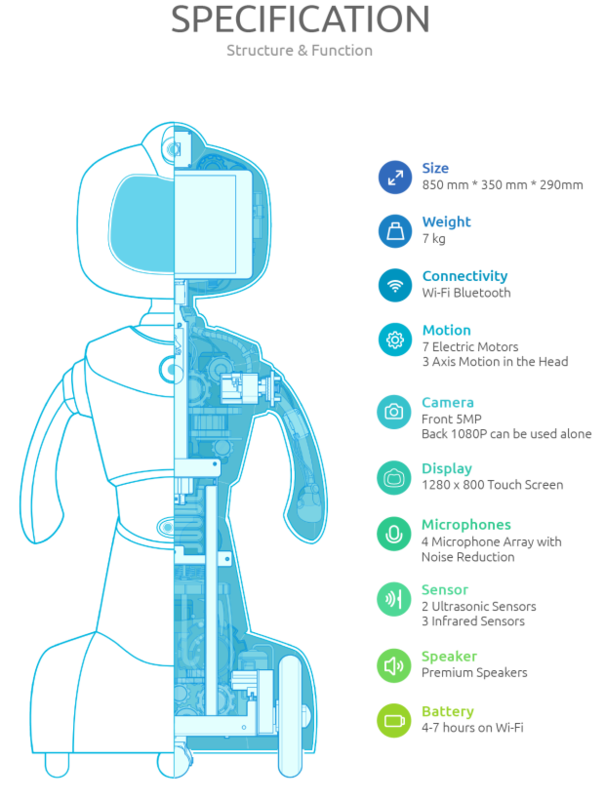 As of last week, Robotelf Technologies Co. has announced their IndieGoGo campaign for their home robot, Robelf. They launched the campaign on October 4th, 2016 in hopes of raising $100,000. The team behind Robelf is hoping to bring recognition to their first project. 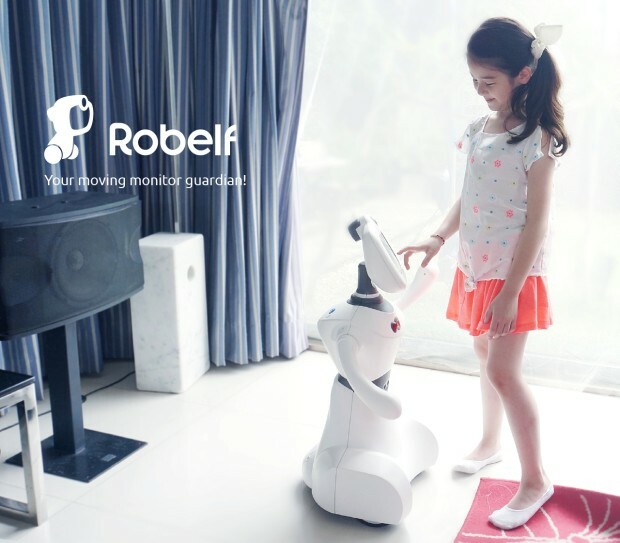 Although there are currently a few different Home Robots on the market today, Robelf has been designed to stand out with various features not yet seen. Mainly, Robelf flaunts their multi-camera design with detachable back camera (known as their Elf Eye). This gives you an extra IP camera to use. Now with Robelf, you will be getting the only home robot where you do not need to crouch down to utilize it. With an adjustable camera that can move up and down to fit the needs of everyone in the family. With Robelf’s built in iBeacon positioning system, you can setup the patrol time for Robelf to automatically survey your home. The ultrasound and infrared device located on Robelf can accurately dodge any obstacles around and Robelf, with sound detection and a face recognition system; you will be notified of anything out of the ordinary. Many times home owners are nervous when leaving their home alone, especially in certain areas; with Robelf those worries are a thing of the past. The indoor tracking features allow Robelf to roam the house and alert home owners or authorities of any issues. Robelf is the perfect design for non-tech users including both older adults and children. Since 2014, Robelf Inc. has been perfecting their first product and ensuring they release a home robot that is above and beyond anything out today. The size of Robelf was perfected to ensure a home robot that could easily maneuver around the home without an issue, while still being large enough to present a comfortable presence. There is also the ability to adjust the head so children and adults can use Robelf easily. Moving forward, Robelf Inc. is hopeful to reach their goal to be able to mass produce Robelf and bring their amazing home robot to families across the world. Robelf has also made clear they will be shipping by the middle of 2017, and if they do not accomplish this they’ll be offering a full refund to all backers. 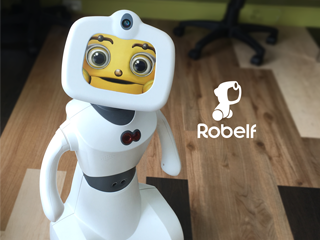 About Robotelf Technologies: After spending 15 years of developing learning software for children, the idea of Robelf came with confidence. Having Robelf in your home will allow learning and education to continue in the home which is one of the most important reasons Robelf was built. The Robelf team, which has a strong background in both OEM and ODM has been able to reduce to the pricing to aro und $400. Their early bird pricing on IndieGoGo will be around $349. Dieser Eintrag wurde veröffentlicht in Crowdfunding, English, General, Hardware und verschlagwortet mit IndieGoGo, Robelf von Sebastian Trella. Permanenter Link zum Eintrag.